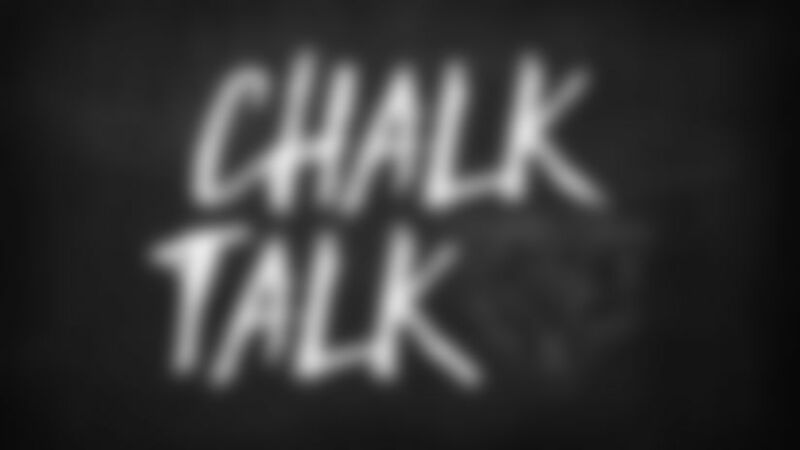 Chalk Talk: Who is most underrated Bears player? Who do you think is the most underrated Bears player? Listening to coach Matt Nagy speak to reporters after a joint practice with the Broncos, you could make a strong case for left tackle Charles Leno Jr. He's a 2014 seventh-round draft pick who has quietly improved each season and has continued to perform with consistency this summer. Here's what Nagy had to say about him: "Charles is very underrated. He just comes out and does what he does, doesn't miss many assignments. He plays physical, yet smart. For us to have him as our left tackle is invaluable." Quarterback Mitchell Trubisky was even more complimentary, saying: "He comes to work every single day. You step in that huddle and he's a guy you look at, the look in his eyes. He's confident about his job and what he has to do and he's going to help everyone else up front. A very knowledgeable, very smart o-lineman, and super-athletic for his size. It gives me a lot of confidence in the pocket knowing I've got him at left tackle, really locking down. He can shut down a variety of pass-rushers. To have that athleticism and size at that position, along with how smart he is, and his length, it's a great combination to have at left tackle. He's done a heck of a job, and he works his tail off." I saw a clip of John Elway talking about Mitchell Trubisky when the Bears were practicing with the Broncos. What exactly did Elway say about the Bears quarterback? The Hall of Fame quarterback and current Broncos general manager and executive vice president of football operations told reporters in Denver that he liked Mitchell Trubisky in last year's draft and that "physically, he's got all the tools." Elway also said that while it will be a challenge for Trubisky to learn another offense, he felt the Bears quarterback would benefit from the game experience he gained last season as a rookie, "has got a lot of talent" and has "a chance to have a real successful career." I've heard that center Cody Whitehair continues to have some trouble with shotgun snaps. How concerned are the Bears about that? Coach Matt Nagy acknowledged that "there are some struggles right now, but we're going to stay positive with it." No one knows better than Cody Whitehair that he'll have to eliminate those bad snaps. Said Nagy: "The quarterback's back there, if you're in the shotgun, he needs to get that football coming to him and it can't be two inches from the ground and it can't be three feet above his head because what that does is it immediately takes him off his progression or off the handoff that he might give to the back. You want those to be darn near perfect, 98 percent of the time if not near 100." Quarterback Mitchell Trubisky expressed complete confidence in Whitehair, saying: "Cody knows I've got his back. Cody cares more about this team and this game than pretty much anybody. I'm not worried one bit. He's going to continue to work at it. He's got a lot on his plate right now, with a lot of calls and checks, as do I. We're doing a lot of thinking. We're going to get it down. I'm not worried about Cody one bit. He's a heck of a player. I love having him on the o-line and (as) our center.